In October 2017, we invited Bastiaan Woudt to join the Marie-Stella-Maris Foundation on a trip to Mukono, Uganda. He visited one of the clean drinking water projects that has been realized with the support of Marie-Stella-Maris Foundation. In this project several rainwater tanks, community wells and toilet blocks for primary schools are build to improve access to clean drinking water and hygiene. We invited Bastiaan Woudt to travel with us – and to do what he is good at; creating beautiful images, and this time with a link to the theme ‘water’. In this interview Bastiaan Woudt shares his personal story about his reasons to join us to Uganda, his experiences there and what good it has brought him – next to an impressive series of photos. 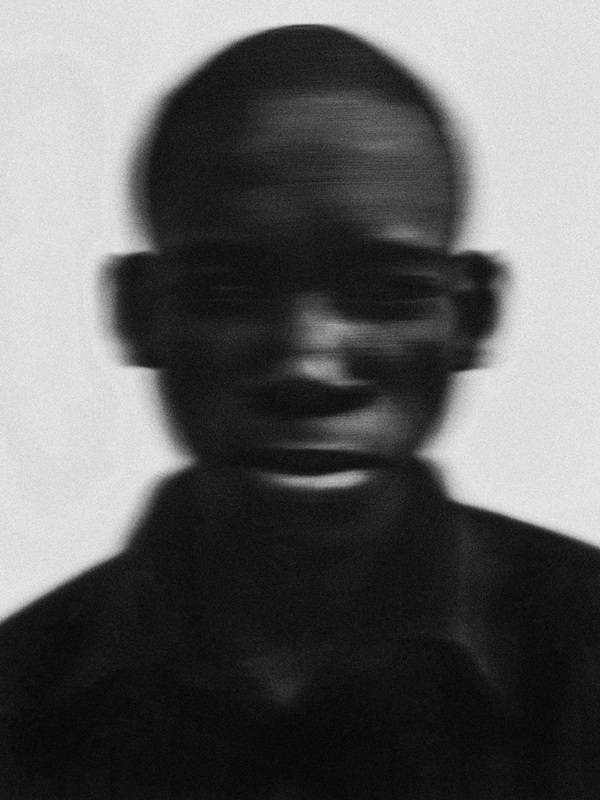 Bastiaan Woudt has seen a meteoric rise within the world of contemporary photography. After starting his own photography practice from scratch, without experience or formal training, he has developed into a photographer with his own signature style – abstract yet sharp, with a strong focus on detail. By always looking at the history of photography, devouring photo books and often visiting museums and fairs, he developed a strong preference for classic subjects, such as portraits and nudes, and we see references to illustrious periods from photography throughout his work, such as Surrealism and the documentary photography of the 1960s and 70s. But through a sophisticated use of both camera and post-production techniques, which he has taught himself by heavily experimenting with both, he gives his own graphic and wholly contemporary twist to the classical. It immediately appealed to me. I have been to Africa before, but I’ve never visited Uganda. In 2015 I climbed the Kilimanjaro in Tanzania for another charity, but because of a tight schedule I wasn’t able to see a lot of the country. Despite the short journey, the continent has inspired me enormously to continue working on the theme ‘Africa’ in various shoots and styling ideas in the Netherlands. Beforehand, I knew the Marie-Stella-Maris Foundation through Linelle Deunk, because she is with the same gallery as I am. Also, Ernst Coppejans and Robin de Puy are familiar names to me - and they had travelled with the Foundation before. I even mentioned to Roy Kahmann (owner of GUP magazine) that I would be very interested in doing such a project as well. Besides that, the whole project is linked to a good cause; it’s about more than just ‘me travelling to Uganda’. This provides for more of a storyline behind the photography and brings you to unique places. Without Marie-Stella-Maris Foundation I wasn’t able to go here (he points towards his photo series). I assumed that there wouldn’t be much there; if water already is an issue, they wouldn’t have much else. Although the people have a lot less compared to us, they really make something out of it. For example I was struck by ‘The Queen of Mukono’; a girl who walked around the village with a pearl necklace, wearing some sort of headgear and a beautiful dress. You would think that she was perfectly styled for the photo, but she wasn’t. It struck me that most of the people do not throw in the towel, but display a lot of positivity and power. "The Queen of Mukono. You would think that she was perfectly styled for the photo, but she wasn’t. " How is traveling an inspiration for your photography? If I prepare myself too much for a trip, I am disappointed when I don’t succeed in what I planned to shoot. What works best for me, is going somewhere completely blank. In Uganda I shot forty portraits in only one day – I knew this trip would be a photographic success. We were very lucky with our local partner, George, who was traveling with us through Mukono. He knew all the places we visited and he spoke the local language. On my previous trip to Morocco, for example, I did miss a local host; it was extremely difficult get to talk to people. I have never shot this much photos in three days, and this trip to Uganda will result in my first art book! It is my way to express my vision and to share what interests me. For me, photography is an easy and fast medium to tell my story, I can directly shoot an image or capture a scene. When I shoot a portrait its always my own interpretation of the person standing there; I can’t capture a person as ‘real’ as he is she is. A story behind a photo series is interesting, but I think it's also good to just do things, because you like it and it suits you. How would you describe your photography style to an unknown person? I think that all my images contain timelessness. In fact, it is difficult to recon in what time period my pictures are made. I always leave time elements like logo’s, brand names and advertising out of my pictures. My inspiration stems from classic photography and that’s what I like to incorporate in my work now. Next to that, I like to create dynamical pictures; images with a certain form of movement. Whether it’s literally movement or a suggestion of movement – that doesn’t matter. This also implies why I like to work with blur, as it expresses a certain feeling. For instance, when I look at the images of my major sources of inspiration; Man Ray, Paolo Roversi or Irving Penn, they all create a certain atmosphere. It’s hard to describe that exact feeling, but it has something to do with leaving it up to your imagination, to create a kind of mystery and make people wonder when looking at your work and asking their selves: ‘What is this about?’. For me this is an important thing; creating a mystery instead of exposing everything in my images. “I like to create a kind of mystery, making people wonder and think; how is that possible?" 'Water is Life' is an important pillar of Marie-Stella-Maris Foundation. How does this resonate with you and your trip to Uganda? Beforehand, I received a request from the Marie-Stella-Maris Foundation to focus on the theme ’water’. This was a completely new way of working for me, and so when in Uganda I deliberately started looking for water. Our local partner showed us the water wells that were constructed in the project, but for me this wasn’t the connection I was looking for in my photography. Instead, I wanted to go to a place where I can actually see the element water; and so we ended up at a fishing community on the shore of Lake Victoria. 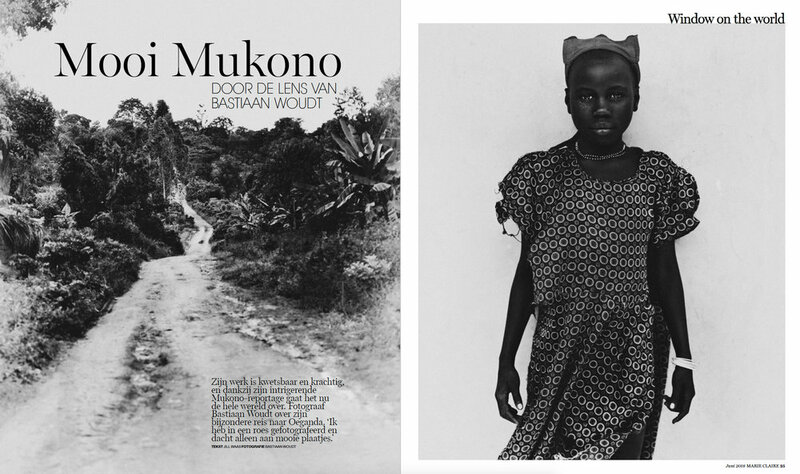 We asked Bastiaan to tell us more about a selection of photos from the ‘Mukono’ series. He doesn’t want to talk too much about the creation of his images in detail ‘because it’s taking out the mystery’. Still he likes to give us a closer look at a few remarkable moments of his trip. This is a situation that just came about. When we were walking though the fishing community, I got attracted to the sound of children playing in the lake. I went to see what was going on, and when the children realized I was watching them, some kind of interaction play occurred. 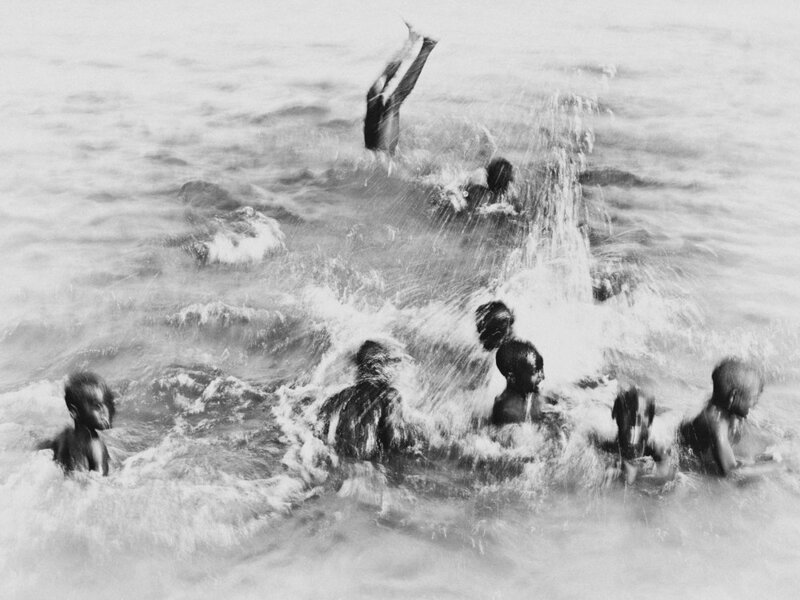 They started showing-off; jumping and walking on their hands through the water. You can’t plan such moments beforehand, it just happens right on the spot. At one point during my trip, I saw a chair with a glass bottle and a little funnel in it - I think they used it for soap or oil. Seeing this setting it made me realize that I hadn’t photographed any still life yet. So I decided to create it in combination with water. When driving around, I noticed jerry cans everywhere - because that’s off course how everyone transports water. I constructed a tower of jerry cans, and a very abstract image arose; I captured exactly the moment the pile of jerry cans fell over. I my opinion, one of the interesting body parts are the hands - because they reveal a lot about people – though, not all hands are beautiful. I generally like taking pictures of all kinds of hands. 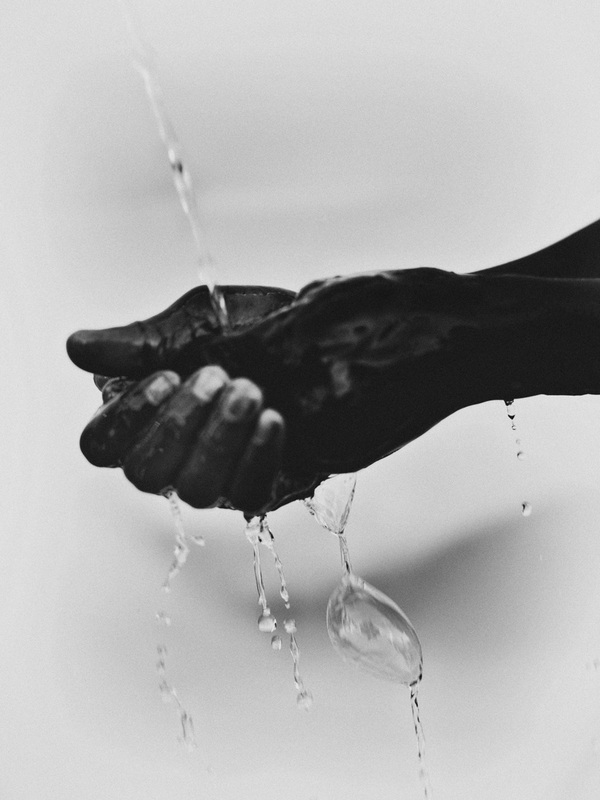 So for me it was certain I wanted to create an image with water hands. Eventually, this photo has become the main image for the Marie-Stella-Maris Foundation for 2018. "I think one of the most interesting body parts are hands. Not all hands are beautiful, but they reveal a lot about people." How do you look back at your photo series? First of all, I’ve never been able to shoot so many strong images in such a short period of time. We were very lucky to have such a fantastic local guide who spoke the local language and knew a lot of people! When I wanted to photograph someone, I could just ask him – he could speak to the person in his own language and that helped me to get close to the people. For example, when we arrived at a family home to see a rainwater tank, the whole family was waiting for us and were open to take their picture. They were extremely grateful to the Marie-Stella-Maris Foundation for what they’ve made possible for them. Their life has really changed through the water project. Finally, the photo series consists of 107 images and it‘s very difficult to make a selection. The goal is to realize an exhibition with about 25 images. In addition, I will send the final selection to the local partner organisation ‘Katosi Women Development Trust’ and off course to our great host, George. Many people in Mukoko helped me to create my series, and it would be great to show them what I made out of it. Did you gain new insights concerning the subject ‘clean water’ during this trip? Before we travelled to Mukono, I was informed about the mission of the Marie-Stella-Maris Foundation ‘clean water for everyone, everywhere’, but I didn’t reflect on that too much. I also had seen the photos of Linelle Deunk in collaboration with the Foundation. But, once in Uganda it was very impressive to see that water has such a huge impact on people’s lives. When hearing the stories of the local population - it really does make an importance difference; having access to water. The construction of the rainwater tanks, for example, ensures that the people no longer have to walk too far for water – this is especially of importance for the elderly or disabled people. When hearing what amount it takes to construct a rainwater tank, you get to wonder ‘what can I do’. With an investment of approximately €200 to €300 Euro you can change the life of a family! So, I’m very happy to donate part of the proceeds of selling my Mukono prints to the Marie-Stella-Maris Foundation, and help even more people with access to clean drinking water. What do you remember most when looking back on your trip to Uganda? The whole journey was such an explosion; we undertook so much in such a short period of time. Everyday feels like three days, and before you know you’re already in the airplane to fly home. When I watch my photos, I can’t even remember what happened in all the shots. Some pictures are now even a mystery to myself; and I kind of like that. When I look back on my trip, I think it’s insane that my series is created in three days. Without collaboration with the Marie-Stella-Maris Foundation, I could have never accomplished this. That’s very difficult to say. But, I really like ‘the Queen of Mukono’; it is such an iconic image, the girl just stood there and everything is perfect in this shot. Her dress fluttered in the wind, and it looks like she came from another time. She was a real queen; a unique shot. An exhibition is coming up and I am going to publish a book as well! Publishing a photo book is a dream coming true. I love art books and I have a well-stocked cabinet of photo books at home. It’s my little addiction. Earlier, a book was published about my Morocco series, but that has become more of a reference book. The Mukono book will become a real art book. 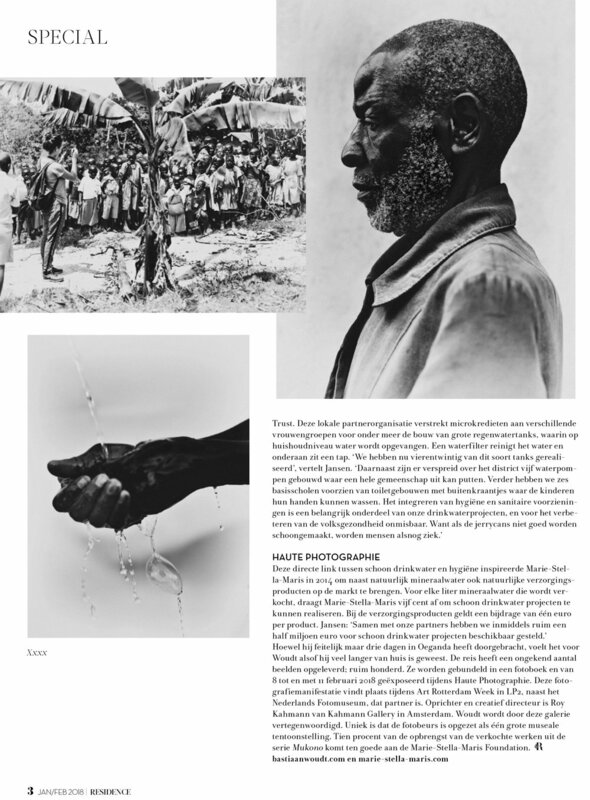 Currently, we are working on the composition of this book, which contains all the 107 images. In addition, we are also working on a limited edition box with a small selection of prints from this project. If I am going to do something like this, I must have the best quality. The box should make you “WANT to have it!” Furthermore, I would like to go on a trip again. I’d love to go to Mongolia or Nepal.